1821 W Hubbard St, Suite 207, Chicago, IL 60622. Filter Photo is proud to announce an upcoming exhibition featuring the work of Priya Kambli and Mel Keiser, titled, “A hole’s made of itself”. Kambli and Keiser use photography as a vessel to explore the self in relationship to personal identity, family ties, and society. 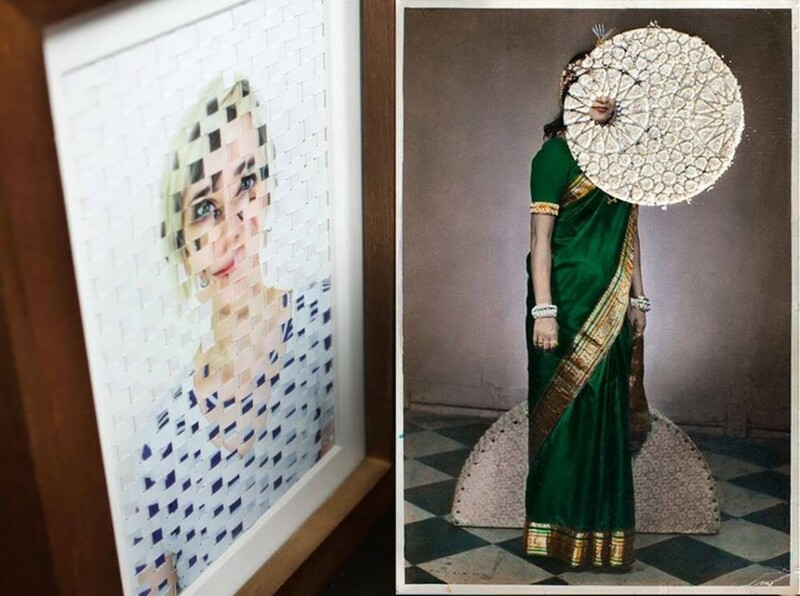 Kambli, after finding a family snapshot that was marred by her mother, altered photographs from her family archive as a way to conjure a personal mythology of her ancestry, and reconcile her relationship with her heritage. Keiser creates visual multiplicities of herself to examine whether identity is singular or a system of discrete beings. Working with photography in visually distinct ways, both artists examine the role they play in the larger arena of the social construct of self, desiring to reconcile identity and relationships within a kind of personal void. Priya Kambli was born in India. She moved to the United States at age 18 carrying her entire life in one suitcase that weighed about 20 lbs. She began her artistic career in the States and her work has always been informed by this experience as a migrant. She completed her Bachelor of Fine Arts degree at the University of Louisiana in Lafayette and continued on to receive a Masters degree in Photography from the University of Houston. She is currently Professor of Art at Truman State University in Kirksville, Missouri. In 2008 PhotoLucida awarded her a book publication prize for her project Color Falls Down, published in 2010. Filter Photo is pleased to acknowledge the support of the David C. & Sarajean Ruttenberg Arts Foundation and a CityArts Grant from the City of Chicago Department of Cultural Affairs & Special Events in producing this exhibition.